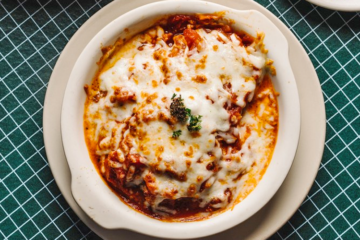 We’ve had the legendary labour-inducing pizza and shared the recipe for the Eggplant Parmigiana that kick-starts contractions. Now comes the super salad that’s sending women into labour. 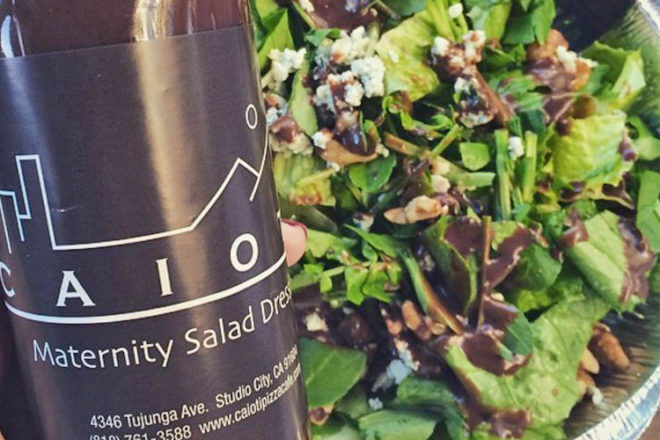 A Californian restaurant has been serving up its ‘Maternity Salad’ for almost 30 years, with overdue mums-to-be swearing by the balsamic dressing-drenched dish. 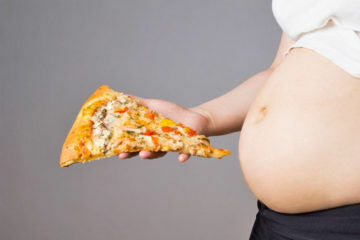 Caioti Pizza Cafe has become a mecca for pregnant women desperate to meet their bubs. 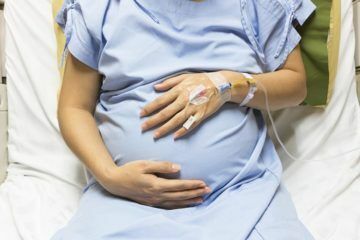 While the restaurant doesn’t claim their special salad has anything to do with inducing labour, it’s hard to ignore the hordes of women praising the dish for helping the birth process start. What’s in the magical salad? The delicious dish is pretty simple, with romaine, watercress, walnuts and gorgonzola. But it’s a house-made vinaigrette that is said to hold all the power. The balsamic vinaigrette is made using basil, sun-dried tomato, extra virgin olive oil, vinegar and a mix of spices which are a closely guarded secret. “When we asked my doctor what the deal was (with the dressing), why does it work for so many people, he said it’s the enzymes in the balsamic. It’s the chemistry that can cause muscle contractions, so that’s a possible thing,” explained Carrie. For a while, the restaurant was even selling up to 300 bottles of the dressing online every month. Some women claim they’ve gone into labour within hours of consuming the salad, others a couple of days after. Others have taken shots of the secret salad dressing, for an extra hit of magic. The restaurant even displays baby journals with entries from mums who claim to have been induced by the salad. Well, when you’re 40 weeks pregnant and not fond of raspberry leaf tea, anything’s worth a shot! Make sure you read our guide to real induction and ways to naturally bring on labour.